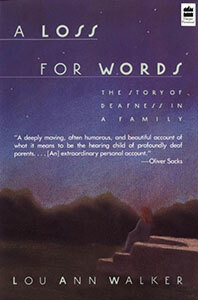 Lou Ann Walker’s memoir, A Loss for Words: The Story of Deafness in a Family, is the winner of the Christopher Award. Senator Paul Simon read excerpts from the book into the Congressional Record. Reviews are available here . Walker is the recipient of a Rotary Foundation award, a National Endowment of the Arts grant, as well as a Marguerite Higgins Reporting Award. Roy Lichtenstein: The Artist at Work (Penguin). A New York Public Library Book of the Year. Amy: The Story of a Deaf Child (Dutton).